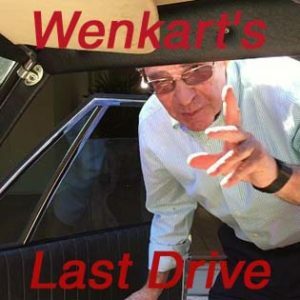 Sydney-based private hospital entrepreneur, Dr Tom Wenkart, takes a last drive in his famous Hendrix Jensen FF. “It was June 1976, and winter in Australia was bearing down in its rather minimalist way. I was determined to buy a sports car of some note. But the specific criteria was not an easy one to find. Working in Sydney convinced me an automatic was the way to go, to make extensive driving a bit more pleasurable in Sydney traffic. Having two young children required some back seat needs, not just the token seating as in almost all other main brand sports cars. I looked at all of them, then available. Fortunately through a friend, it was suggested that I take a look at a rare four-wheel-drive Jensen FF that was up for sale. This was a smart looking sports car with fire engine red body and black vinyl roof, which also had a retractable sunroof. It looked stunning to my limited experience and I was sold. Yes, it was state of the art in those days. A real celebrity vehicle, with a pedigree to match, about which I knew nothing for many years. All the mod-cons of the day were in it. Even an eight track tape player. I recall making my way up a Battle Axe driveway, off Bangalla Road, Warrawee, to meet the then owner [Ron Hackett]. He told me he was about to; or had; purchased an Aston Martin. Recollection of the handover to me is sparse, but the buying price of AUD 13,000 remains in my mind. Ulric Woodhams, of the Jensen Museum, had maintained contact with me from the 1990s. He had always made it clear that he would be interested in acquiring my Jensen FF. It wasn’t until 2010 or there about, that I gave thought to selling the Jensen. It wasn’t that I needed the money, it was more a question of thinking what the best long term future would be for the car. Then, fortuitously, Ulric telephoned me in 2014. That call led to me agreeing the sale of the Jensen. In January 2015, 119/195 started its voyage back to England. I replaced the revolutionary car of the 1960s, with a revolutionary car of today. I purchased an all electric Tesla 85 S model. NOTES: Video length 3.25 minutes. Video publication date 2018. ACKNOWLEDGEMENTS: Tom & Christine Wenkart for allowing the Museum to publish their video. ADDITIONAL INFORMATION: If you have any additional information relating to this video, please contact us at archive@jensenmuseum.org, or telephone +1694-781354.